Location! Location! Location! Sensational Disney area, cul-de-sac home with enormous yard overlooking golf course in highly desirable community! Fabulous opportunity to own a new home without paying new home pricing! This adorable 3/2 has great curb appeal and is completely renovated, updated and move in ready. Bright and airy floorplan with high ceilings, lots of windows and neutral colors. Beautiful ceramic tiled floors. Spacious room sizes, formal dining area with dining space in kitchen and split bedrooms. 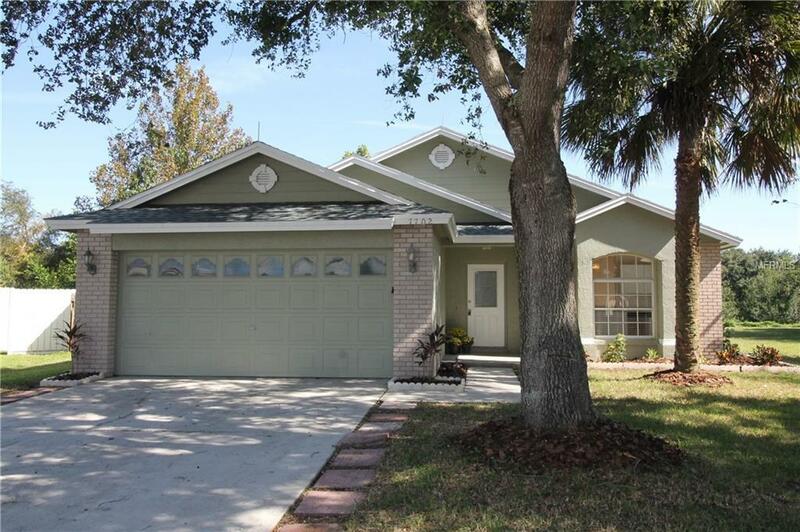 Generous master bath with double sinks, large tub, separate shower and huge walk in closet. Improvements include fresh interior and exterior paint in 2018, New architectural shingle roof with 50 yr. warranty in 2016. New A/C in 2018. New energy star glass skylight in master bath in 2016. Updated kitchen and baths in 2018, new garage door opener in 2018, New carpet in 2018. Stainless steel kitchen appliances - everything stays! Most of the sq footage is in back so the yard is completely usable. Its private and perfect for entertaining! This spectacular home is located just minutes from theme parks, shopping, restaurants, golf, highways and everything else one might need. This communitys ideal location and low cost of ownership (No HOA, low taxes) make it highly desirable to own in. This lovely home also has special zoning that allows it to be used for income generation from short term rentals. You could put this home to work for you! Make an appt to see it today! You wont want to miss it!